Your roof is one of the biggest and most expensive components of your house. Since it’s exposed to wind and weather all year long, it makes sense that occasional maintenance is required. Of course, you shouldn’t get up on the roof yourself because that can be dangerous. Instead, you should hire one of the roofing companies in Sandy Springs to do the maintenance for you. 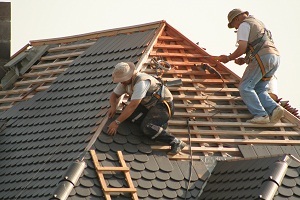 Here are the advantages of scheduling regular roofing services. Regular assessments of your roof can help keep it maintained. Your roofer will alert you if anything needs to be replaced. By keeping the roof in good shape, it should extend its lifespan as well. During your roof service appointment, it’s not a bad idea to clear the roof of debris, which is plentiful in the fall but can be present anytime of the year. When you think about how much it can cost to replace a roof, regular maintenance appointments can save you a lot of money in the long run. Even adding a year or two to the life of your roof can save hundreds or thousands of dollars. Considering how important it is to have a roof over your head, performing regular maintenance makes a lot of sense. Regular maintenance can prevent bigger problems down the road. For example, if your roof assessments reveal that some of your shingles are broken or missing, they can be replaced before the integrity of your roof is compromised. That’s much preferable to a leak, which can result in costly water damage inside your home. A well-maintained roof is also more likely to hold up during a storm. If your roof is already damaged before a big storm, then you can expect additional damage. Incidentally, a roofer is not just going to look at your roof. They’ll also inspect your chimney, vents, and gutters to ensure everything is in proper working order. Regular maintenance will cut down on repair costs for you. 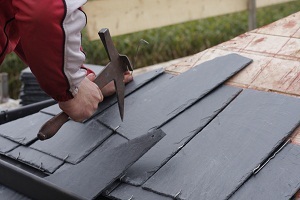 Replacing a couple of shingles is cheaper than having to replace all of them. In some cases, it may be just a matter of nailing existing shingles back down or repairing a smaller area of your roof. When damage is excessive, which is more likely after many years without maintenance, it makes more sense to replace the entire roof. Finally, when you have a roofer who inspects your roof regularly, you also have someone to call when there is a need for repairs. Your roofing company will probably ensure existing customers are taken care of after a big storm, too.